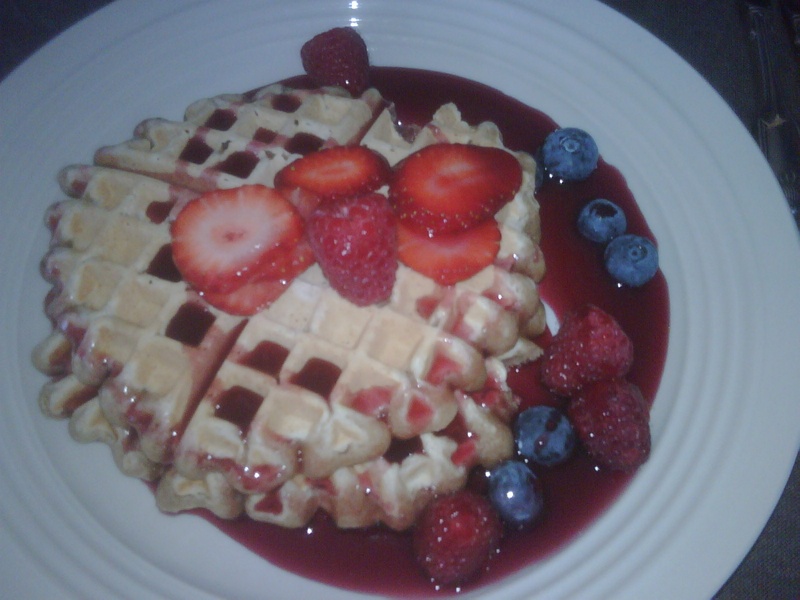 Vegan Waffles OH MY! YUM! My fabulous friend Rae hosts super fun brunches in her gorgeous sunlight filled apartment! So fun! Great group of people and amazing food. Love it! They had all the usual suspects from waffles, eggs, bacon, fruit & mimosas. 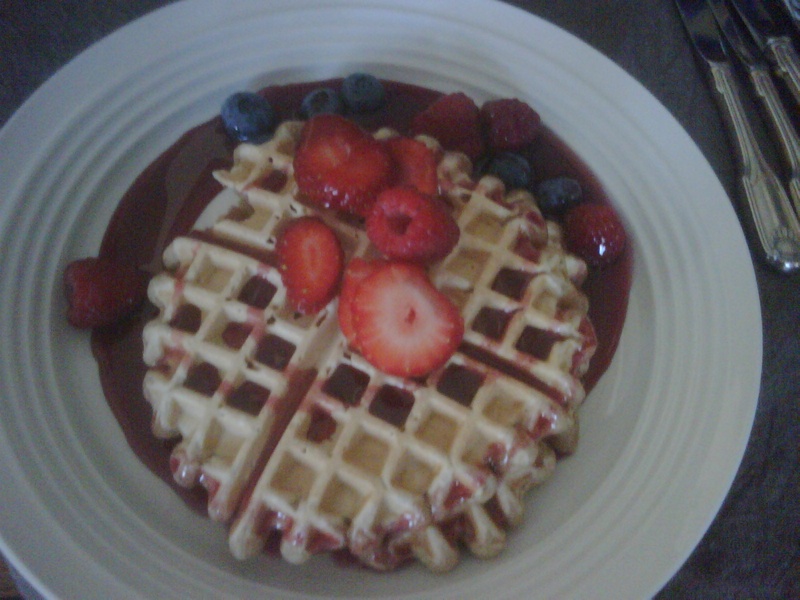 Rae was so thoughtful and even made me vegan waffles so I have fun food too! They were deelish! Check out the pics 🙂 Waffles, fruit and boysenberry syrup. YUM! Mix the dry together, add the wet. Don’t overmix. Make sure the waffle iron is hot and cook 4-6 minutes each! ENJOY!